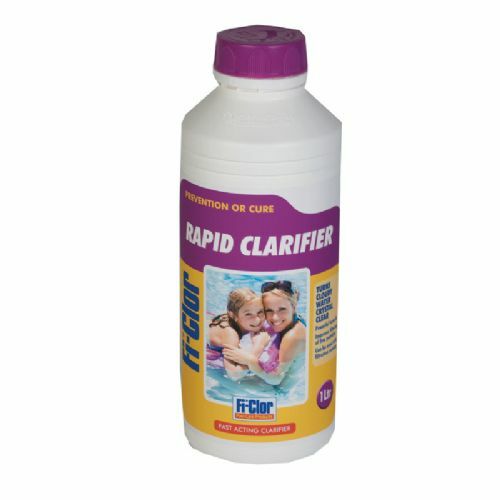 Fi-Clor Premium 6 tablets are specially formulated to out-perform standard 200g trichlor tablets, slowly releasing a long lasting disinfectant to kill potentially harmful bacteria and organisms. They also contain an algicide to tackle the problem of green water, and a built in clarifier to help keep your water crystal clear. These 250g tablets feature a 50g shock chlorine layer which dissolves quickly giving your pool a shock chlorine dose, leaving behind a regular 200g chlorine tablet which slow-dissolves as normal. 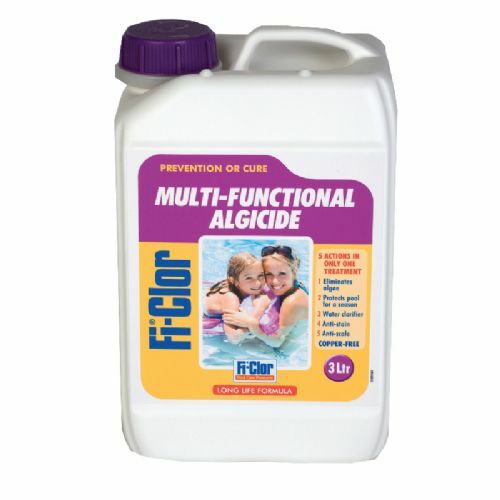 The pH properties of these tablets make it easier to balance your pool water in hard water areas, and the product is stabilised to prevent wasteful loss of chlorine to sunlight, making them ideal for use in outdoor pools. This 5kg pack contains 20x 250g tablets.